Cobind was a software company based in Pittsburgh, USA, whose mission was to simplify the creation of custom Linux distributions to promote the presence of open source technology in the mass market. Based on Fedora Core Linux, Cobind Desktop marries XFce and Nautilus into a cohesive desktop experience featuring Mozilla Firefox and Mozilla Thunderbird. Simple, fast, and familiar, it was the Linux desktop experience built with the typical user in mind. Cobind Desktop was available as an installation CD-ROM or live CD-ROM. Rate this project The openSUSE team has announced the release of openSUSE 15, a new major milestone for the distribution which allows for easier migration to SUSE Linux Enterprise (SLE). The project's release announcement states: "openSUSE Leap 15 now allows migration to SLE, brings a new partitioner, integrates the Groupware Kopano, moves to Firewalld - and also comes distributed by Linode (for Cloud and infrastructure setups) and on high-end hardware like Tuxedo Laptops (other Cloud and hardware vendors will follow). On top of that, Leap 15 introduces a system role selection with classic 'server' or 'transactional server' role with transactional updates and a read-only root file system. This brings in all the benefits of atomic updates to the full scope of deployments, from the Internet of Things (IoT) and embedded devices to classical server and desktop roles. Apart from that, Leap 15 has been continually optimized for cloud usage scenarios as virtualization guest and at the same time offers a great variety of desktops, including KDE and GNOME and features the return of Live images for simple test-driving." The distribution's download page offers full DVD and net-install images. There are also live disc editions for KDE Plasma and GNOME. Download (pkglist): openSUSE-Leap-15.0-DVD-x86_64-Current.iso (3,736MB, SHA256, torrent), openSUSE-Leap-15.0-NET-x86_64-Current.iso (120MB, SHA256, torrent), openSUSE-Leap-15.0-GNOME-Live-x86_64-Current.iso (909MB, SHA256), openSUSE-Leap-15.0-KDE-Live-x86_64-Current.iso (859MB, SHA256). Also available from OSDisc. 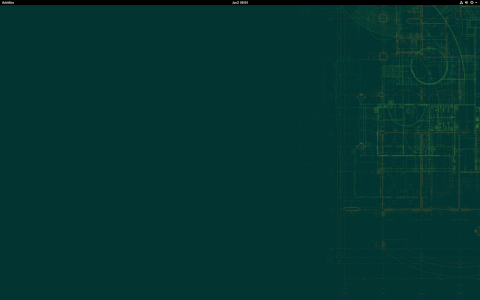 Ludwig Nussel has announced the availability of the initial beta of openSUSE 15.1 "Leap" (build 416.2). This is the first of the several planned testing snapshots that will conclude with the final release in the second half of May: "Leap 15.1 entered the beta phase with build 416.2 that reached the mirrors yesterday. Everyone is encouraged to download the current builds and help testing. There are also live images to check hardware compatibility without installation. The beta phase will last until mid April. Planned release is before the conference in May. There is also a test plan to help coordinate the efforts. Feel free to fill in what you tested so we get an overview of what was covered already. Note that Leap 15.1 did not automatically sync with package versions in Factory. That is intentional as 15.1 is meant to be a minor update." Read the release announcement and the detailed release notes for further information. This beta snapshot is available (mirror list) as installation DVD, NET image and a set of live ISO images (GNOME, KDE or Rescue CD): openSUSE-Leap-15.1-DVD-x86_64-Build416.2-Media.iso (3,919MB, SHA256, pkglist), openSUSE-Leap-15.1-NET-x86_64-Build416.2-Media.iso (125MB, SHA256), openSUSE-Leap-15.1-GNOME-Live-x86_64-Snapshot6.2-Media.iso (890MB, SHA256), openSUSE-Leap-15.1-KDE-Live-x86_64-Snapshot6.1-Media.iso (879MB, SHA256), openSUSE-Leap-15.1-Rescue-CD-x86_64-Snapshot4.14-Media.iso (618MB, SHA256). Ludwig Nussel has announced the availability of a new testing snapshot for the Leap branch of the openSUSE distribution. The new snapshot, openSUSE 15.0 (Build 109.3), is part of a rolling release series of development snapshots and considered a beta release. "Leap 15 finally got a fresh look and with a Plasma 5.12 beta version, the default desktop environment got closer to the target version. The base system also is pretty much complete. There are still two bigger changes known to be upcoming. One is rpm 4.14 that was only included in Tumbleweed two weeks ago. The other one is the combined /var subvolume for fresh installations. So overall Leap 15 now enters the Beta phase with Build 109.3 that reached the mirrors on Friday. Everyone is encouraged to download the current builds and help testing. In fact, this announcement was sent from a Leap 15.0 system already. As with 42.3, Leap 15.0 will also use a rolling development model until it's final build. That means no concrete milestones but new builds as soon as OpenQA gives a green light." Further details are available in the project's release announcement and in the release notes. The testing snapshot is available in full and net-install editions. Download (pkglist): openSUSE-Leap-15.0-DVD-x86_64-Build109.3-Media.iso (3,885MB, SHA256), openSUSE-Leap-15.0-NET-x86_64-Build109.3-Media.iso (390MB, SHA256). 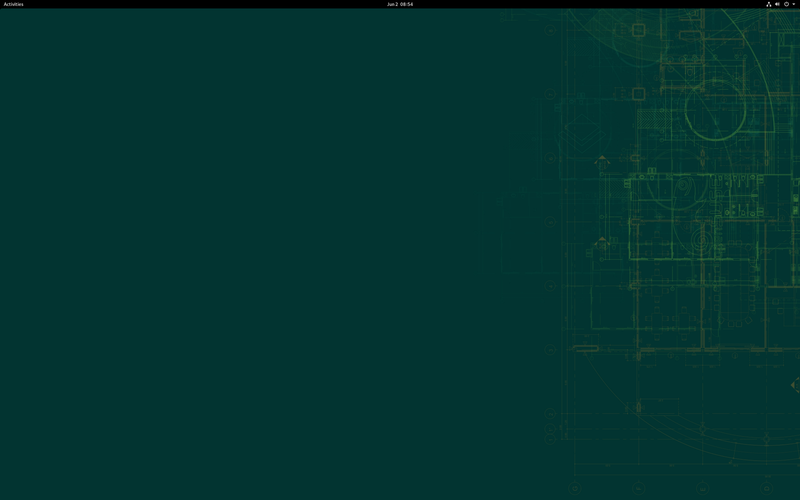 The openSUSE team has unveiled a new version of openSUSE's Leap edition. The new version, openSUSE Leap 42.3, is a conservative update to the Leap series, introducing mostly minor fixed and package updates. "The release of Leap 42.3 provides adopters a reliable server operating system for deploying IT services in physical, virtual or cloud environments. Leap's third edition of the 42 series has more than 10,000 packages and offers stability-minded users a refresh and hardware enablement release. The release is powered by the same Linux 4.4 Long-Term-Support (LTS) kernel found in the previous Leap edition. Leap 42.3 continues to use KDE's Long-Term-Support release 5.8 as the default desktop selection while also offering GNOME 3.20, the same as used by SUSE Linux Enterprise. A variety of additional desktops is available in the installer through the newly designed desktop selection." Additional information can be found in the project's release announcement and in the release notes. openSUSE 42.3 can be download in Full DVD or Network Install editions. Download (pkglist): openSUSE-Leap-42.3-DVD-x86_64.iso (4,425MB, SHA256, bittorrent), openSUSE-Leap-42.3-NET-x86_64.iso (108MB, SHA256). The openSUSE team has announced the availability of a new version of the distribution's Leap edition. openSUSE Leap provides a stable base, similar to SUSE Linux Enterprise, with the addition of community-provided software packages. The latest version, openSUSE 42.2, features KDE's Plasma 5.8 desktop, version 4.4 of the Linux kernel and over 1,400 new packages in the distribution's software repositories. "Members of the openSUSE Project are pleased to announce the release of the next minor version of Leap - openSUSE Leap 42.2. Leap is made to give stability-minded users and conservative technology adopters peace of mind. openSUSE Leap 42.2 is powered by the Linux 4.4 long-term support (LTS) kernel and is a secure, stable and reliable server operating system for deploying IT services in physical, virtual or cloud environments. A selective process of including well-established packages in openSUSE Leap 42.2 gives new meaning to the term Linux optimization." Further information can be found in the project's release announcement. Download (pkglist): openSUSE-Leap-42.2-DVD-x86_64.iso (4,181MB, SHA256, torrent), openSUSE-Leap-42.2-NET-x86_64.iso (95.0MB, SHA256). Douglas DeMaio has announced a new, and probably final, release candidate for openSUSE 42.2 Leap. The new release candidate, openSUSE 42.2 RC2, divides the Mesa Nouveau 3D video driver into a separate package to avoid crashes when using the Plasma desktop. The new release candidate also introduces Btrfs quotas which put limits on the amount of disk space the file system can use. "Users of Leap's newest version will notice improved capabilities with snapper snapshots based on the Btrfs file system, which is the default file system selection. A new Btrfs quota concept makes snapper much less disk-hungry and can be manually setup. Snapper is a poka yoke (a mistake-prevention tool) and can give system administrators confident about updating new packages and rolling back the system if an error is made. There is a selection of other file systems for Leap, but benefits of snapper are not available with the other file systems." The release announcement has further details. Download (pkglist): openSUSE-Leap-42.2-DVD-x86_64-Build0272-Media.iso (4,180MB, SHA256), openSUSE-Leap-42.2-NET-x86_64-Build0272-Media.iso (95MB, SHA256). The openSUSE project has released a new development snapshot for the distribution's Leap edition. The new snapshot, openSUSE 42.2 RC1, features mostly minor updates to the KDE and GNOME desktop environments, along with a minor update to the Linux kernel. "RC1 delivers a professional version that includes OpenStack client software and several other software stacks developers and system administrators will find useful. RC1 adds new bug fixes for KDE as Plasma 5.8.1 provides several commits to provide a more stable performance for KDE users. The long-term support (LTS) version of Plasma 5.8 has several open-source users excited about the stability potential and rebirth of KDE. GNOME games were updated in RC1 as five-or-more, four-in-a-row and Iagno updated to the GNOME 3.20.2 version. In addition to having GNOME and KDE desktop environments, the Leap version offers several other desktop environments like Cinnamon, Xfce. For those looking for lightweight login / display manager, RC1 offers LightDM 1.19.5." The full release announcement has further details. Download (pkglist): openSUSE-Leap-42.2-DVD-x86_64-Build0245-Media.iso (4,107MB, SHA256), openSUSE-Leap-42.2-NET-x86_64-Build0245-Media.iso (95MB, SHA256). The openSUSE project has announced the availability of a new beta release for the distribution's Leap edition. The new beta, openSUSE 42.2 Leap beta 3, offers upgrades to VirtualBox and features KDE's Plasma 5.8 desktop environment. Firefox 49 and Thunderbird 45.3.0 are available along with many updated translations. "The openSUSE Leap 42.2 beta 3 was released today, one day ahead of schedule and the last beta for 42.2 brought quite a few new versions for people to test. VirtualBox was upgraded from version 5.0.24 in beta 2 to version 5.1.4 and there were an enormous amount of fixes applied to this newer version, which was released in August. KDE’s Plasma moved from its 5.7.95 beta version in Leap’s beta 2 to version 5.8.0 in beta 3. Plasma 5.8 is new but the purpose of openSUSE Leap is to have well established packages and since Plasma 5.8 is a long-term support release, it made sense to have 5.8 in the distribution even though it is very new. Plasma 5.8 will be supported for 18 months, according to KDE’s release team." Additional information can be found in the project's release announcement. Download (pkglist): openSUSE-Leap-42.2-DVD-x86_64-Build0215-Media.iso (4,102MB, SHA256), openSUSE-Leap-42.2-NET-x86_64-Build0215-Media.iso (95MB, SHA256). The openSUSE project has announced the availability of a new beta snapshot for the project's upcoming openSUSE 42.2 "Leap" release. The new beta provides a preview of the Plasma 5.8 desktop environment along with an update to GTK, bringing the toolkit to version 3.20.9. "The release of openSUSE Leap 42.2 Beta 2 today added several new minor versions including KDE's first Long Term Support version for Plasma. The highly anticipated release of Plasma 5.8 LTS will be the default desktop for openSUSE Leap 42.2 and its beta (5.7.95), which was just released last week, is in openSUSE's newest beta release. 'The quality of the distribution at this point looks quite good,' said Ludwig Nussel, Leap's release manager. 'Since Plasma 5.8 is still a beta version, it deserves more attention and thorough testing. We can help upstream to release a good 5.8.0 and get a decent quality default desktop in return.'" Additional details can be found in the project's release announcement. Download: openSUSE-Leap-42.2-DVD-x86_64-Build0193-Media.iso (4,100MB, SHA256, pkglist).